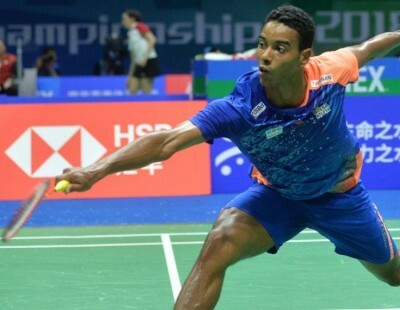 After Ygor Coelho yesterday, it was Liew Daren’s turn to create ripples at the TOTAL BWF World Championships 2018 today with a straight-games upset of fifth seed Kidambi Srikanth in the third round. 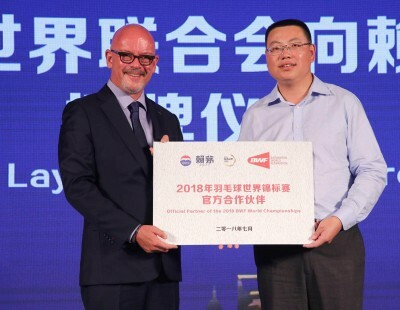 The victory of the rank long shot – who trains as an independent player – over one of the event’s top Men’s Singles contenders was one of the most unanticipated results of the day, particularly in the manner in which it unfolded. Malaysia’s Liew (featured image) played unhindered by expectations or pressure, and was able to regularly punch holes in Kidambi’s defence. 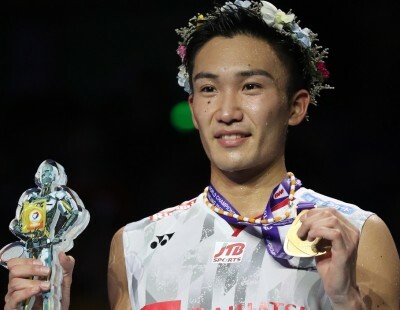 The Indian had his chances of forcing a decider, but to Liew’s credit, he was razor-sharp with his attack, both at Kidambi’s body and on the lines. 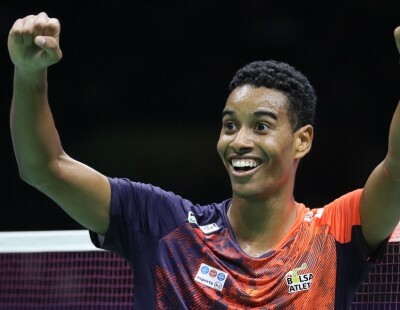 A body smash gave him his biggest individual result since winning the French Open in 2012. 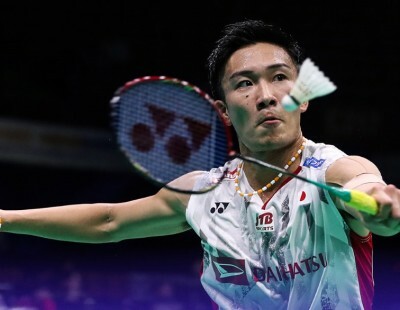 In the same half, Japan’s Kento Momota – who has been causing all the buzz in the run-up to the Worlds – looked in danger of an early exit before he pulled himself together against Denmark’s Anders Antonsen. 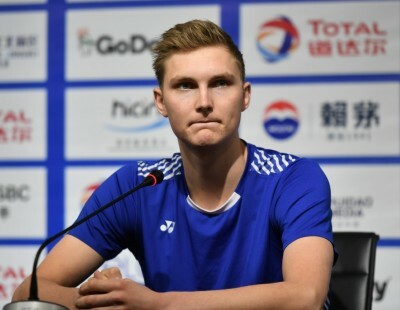 The Dane played a near-perfect first game, firing off sharp winners and capitalising on Momota’s indecisive play. 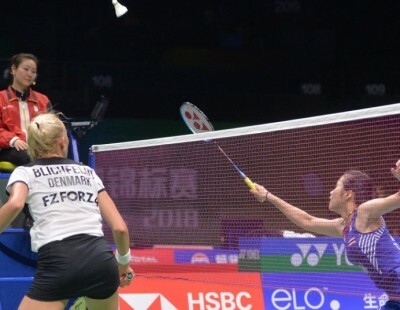 It was even until midway in the second, after which Momota’s unerring precision and stellar defence started to wear down Antonsen, who was forced to to go closer and closer to the lines. 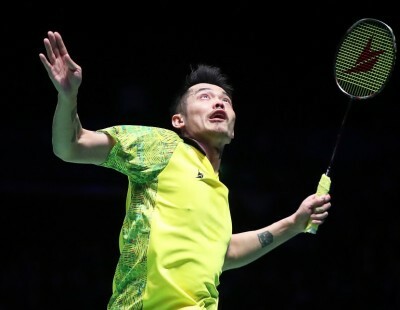 Meanwhile, the highly-anticipated clash between five-time champion Lin Dan and All England champion Shi Yuqi fizzled out, with Lin struggling to contain Shi’s speed and explosive power. The younger man was in control from start to finish, closing it out 21-15 21-9. “His style has changed in recent times; he now forces opponents into making mistakes. I had to be patient, that’s what I did better today,” said Shi. 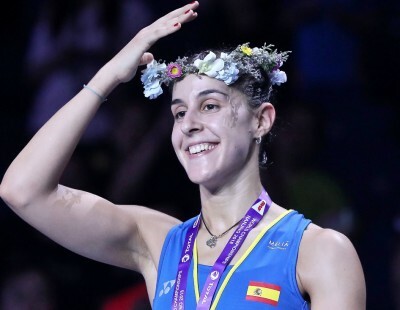 Two of the Women’s Singles quarter-finals will feature replays of recent World Championships finals: India’s Pusarla V Sindhu and Saina Nehwal taking on Japan’s Nozomi Okuhara and Spain’s Carolina Marin respectively. Nehwal started strongly against Thailand’s Ratchanok Intanon and held off a determined surge by her opponent late in the second to clinch a 21-16 21-19 result. The Indian used her sheer athleticism and retrieving ability to stonewall the creative shotmaking of the Thai. “She can play all kinds of shots and you can get in trouble,” said Nehwal. “Towards the end she played fearlessly and came to 19-all. The last two points were entirely thanks to (coach) Gopi Sir’s strategy. 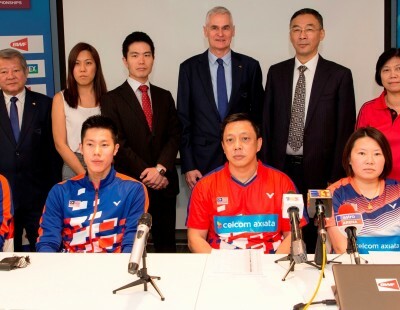 Nehwal said the pressure was off her as all the attention was on Tai Tzu Ying. “Tai has been on top the last two years. There is less pressure on me. I haven’t gone past the quarter-finals in the World Tour. I played well at the Commonwealth Games and the Asian Championships. It’s fine, I’m happier my form’s coming back. 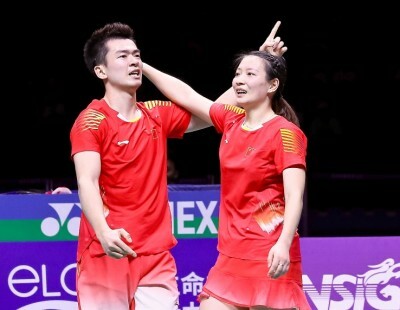 Mixed Doubles third seeds Tang Chun Man/Tse Ying Suet were nearly bounced out of the tournament by Indonesia’s Praveen Jordan/Melati Daeva Oktavianti, who had two match points in the third. 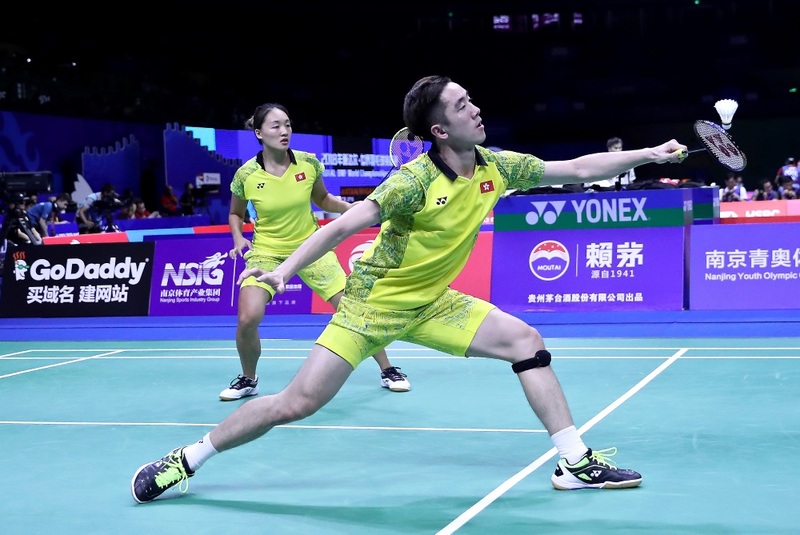 It was Tse’s alertness at the death that denied the Indonesians victory, and the Hongkongers heaved a sigh of relief after their error-ridden performance: 21-15 19-21 26-24. 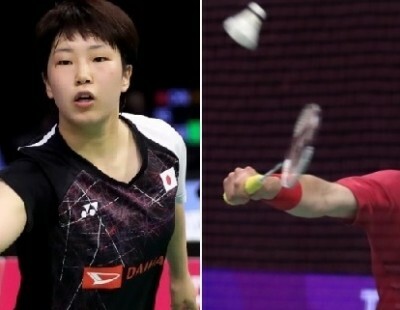 Tang and Tse take on Malaysia’s Chan Peng Soon/Goh Liu Ying, while in the bottom quarter, England’s Chris and Gabrielle Adcock face second seeds Wang Yilyu/Huang Dongping. It was a bright day for Indonesia in Women’s Doubles as three pairs entered the quarter-finals. 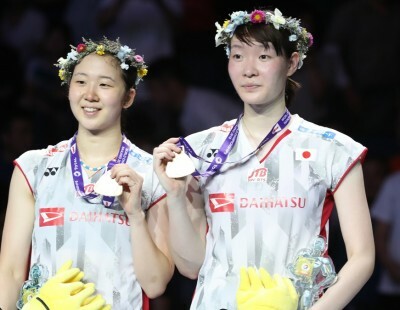 Anggia Shitta Awanda and Mahadewi Istirani Ni Ketut created the biggest sensation in the category, downing sixth seeds Lee So Hee/Shin Seung Chan (Korea) 21-15 21-17. Their compatriots Della Destiara Haris/Rizki Amelia Pradipta also made the last-eight, where they face Japan’s Shiho Tanaka/Koharu Yonemoto. 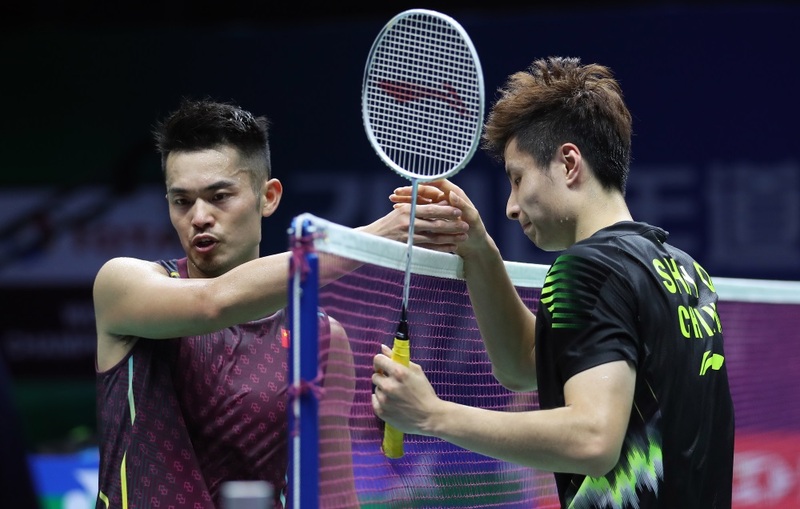 Malaysia’s Goh V Shem and Tan Wee Kiong’s troubles with serving under pressure returned to haunt them as they were edged out in a thriller by China’s Li Junhui/Liu Yuchen, 16-21 21-15 22-20. The fast and fierce battle was poised at 19-all when Tan Wee Kiong served short; a couple of points later Liu Yuchen got lucky with the net cord. 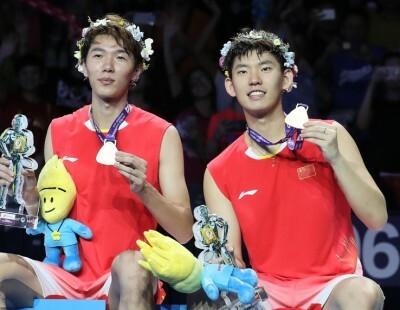 The Malaysians’ misery was complete with Li Junhui flick-serving Tan and killing the tame return that ballooned up. 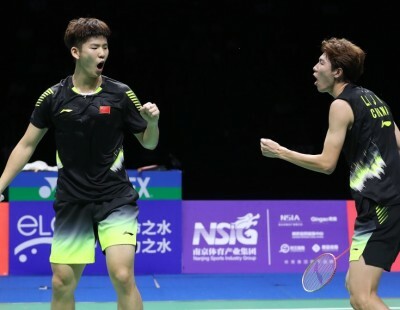 The Chinese duo take on another Malaysian pair, Aaron Chia/Soh Wooi Yik, who surprised eighth-seeded Danes Kim Astrup/Anders Skaarup Rasmussen.